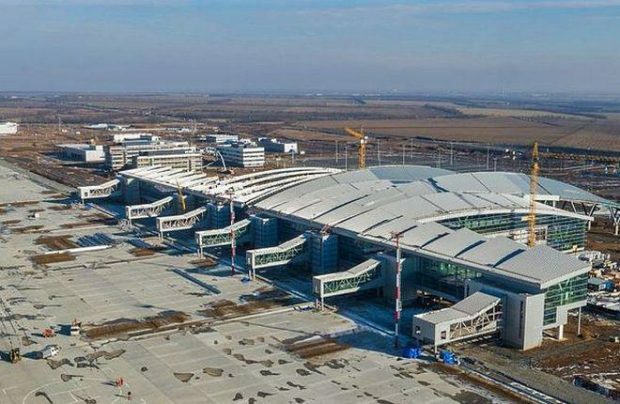 Russia’s Federal Air Transport Agency (FATA) on November 8 gave its permission to launch newly-built Platov airport in Rostov-on-Don. A government decree issued on November 9 specifies that the airport will be cleared to begin operations from November 27. The airport currently serving Rostov-on-Don is to close permanently on March 1, 2018. The three-month transition period will be used for transferring flights to Platov, a source at the current airport told Russian Aviation Insider. The exact dates of the first revenue flights to the new location, and of the old one’s closure, have not been officially confirmed yet. Airports of Regions, the managing company of the current facility which will also be taking care of Platov, came up with the winter operations schedule in late October. According to the document, the existing airport will remain active until December 1, after which the new airport is to take over. A total of 18 carriers, 13 Russian and five foreign, will connect Platov to 24 destinations. Startup Azimuth Airlines will become the base operator, contributing over 50% to the total number of flights to be served by Rostov-on-Don. The airline’s fleet comprises Russian-made Sukhoi Superjet 100 regional jetliners. FATA approved the opening of Platov’s passenger terminal back in October, thus enabling operational trials at the airport. The project to build the new international airport for Rostov-on-Don is covered by the federal program to develop Russia’s transport system through 2021. The airport will be able to receive all aircraft types. The terminal has a floor space of 50,000 square meters, is equipped with nine jetways, and will be able to serve 1,740 passengers per hour. The airport will run a permanent border crossing point for passengers and freight. The total cost of the project stands at nearly 47 billion rubles (S786 million). The airport’s construction is also part of the country’s preparations for the 2018 FIFA World Cup, to be hosted next summer.